Available in both UK and USA English editions. + 50, 26mm hardwood cubes, each laser-engraved with grammatically related words (all adjectives or all forms of a particular verb, for example). For use with our English grammar cubes, these 26 x 26mm cube sets feature commonly misspelt: a) homophones; b) science words; c) maths words. Each set comes in its own drawstring bag and contains a grid showing all the cubes and the words they display. Click here to read The Old Schoolhouse product reviews. 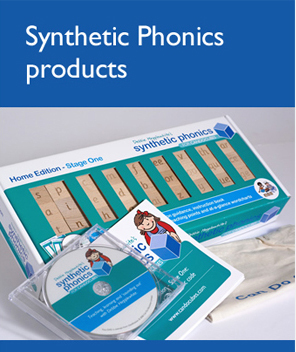 The [phonics] set is worth every penny! What a great learning tool. I was in shock when box day arrived! This is a full blown curriculum and it is amazing! I was beyond impressed with this set. Really, they are a beautiful, well-made product. This system is so comprehensive that any parent can use it with their child. With Can Do Cubes we have made leaps and bounds in phonics, letter recognition, reading , and spelling. I absolutely love the cubes. They are just the right size for little hands and allow a child, who does not yet have fine-motor skills, to write words – to build words! 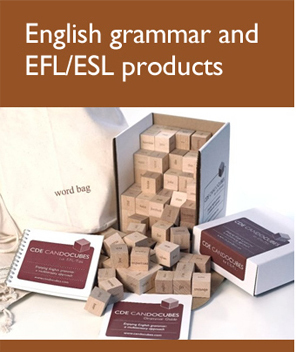 ‘I’ve been using Can Do Cubes for English grammar all year with Key Stage 3 classes; they are ceaselessly entertaining. Also wanted you to know that we are using the cubes in our reading classes and they are working so very well. It is my hope that our students will request them when they get out in the schools. Donna Harrell Dooley Ed. D.